.Shoes | Put your Best Foot Forward. 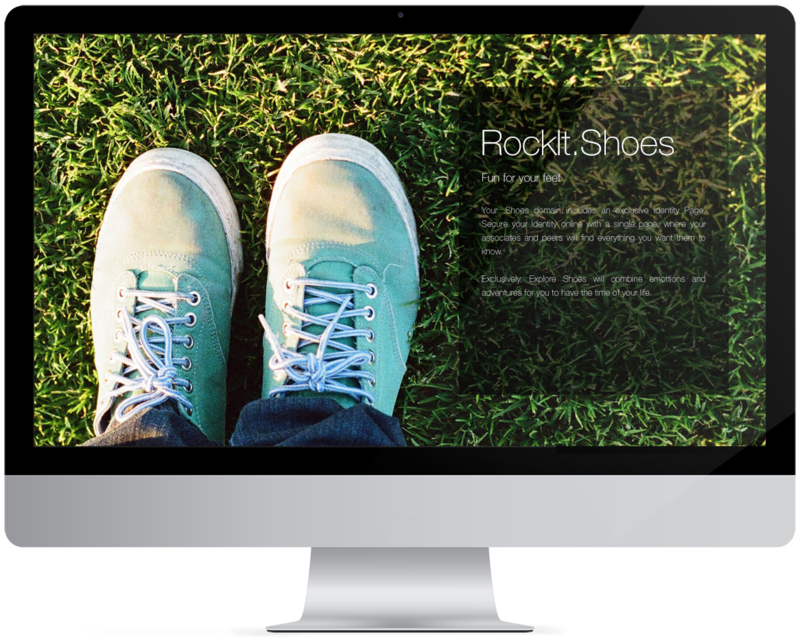 Your .Shoes domain includes an exclusive Identity Page. Secure your Identity online with a single page, where your associates and peers will find everything you want them to know. No longer will your profile remain hidden in a network with a billion members. Feature your Shoes Identity in your chosen interest and location based Communities, and be found by those looking to create meaningful relationships. Can't find what you're looking for? Create your own Communities from the App Store. .Shoes membership grants you access to the .Shoes Network. 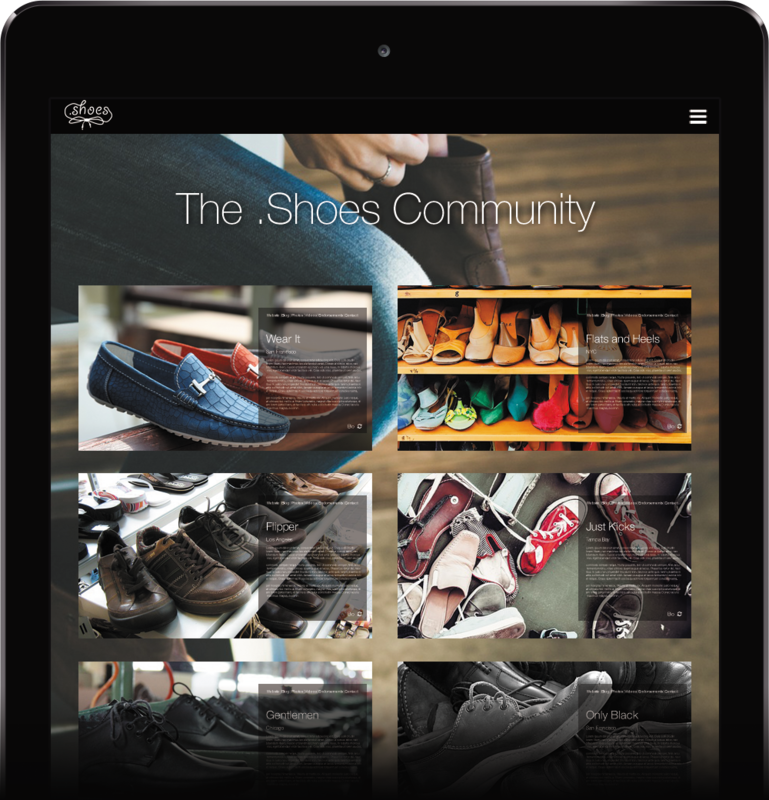 Make connections and keep up to date with the .Shoes Community. The Top Level Stream is home to conversation from all registrants across multiple platforms. Members are able to create their own more focused groups based on their industries, interests and location. Streams help you turn your audience into your own Social Network. Register your .Shoes domain to bring your special day online. 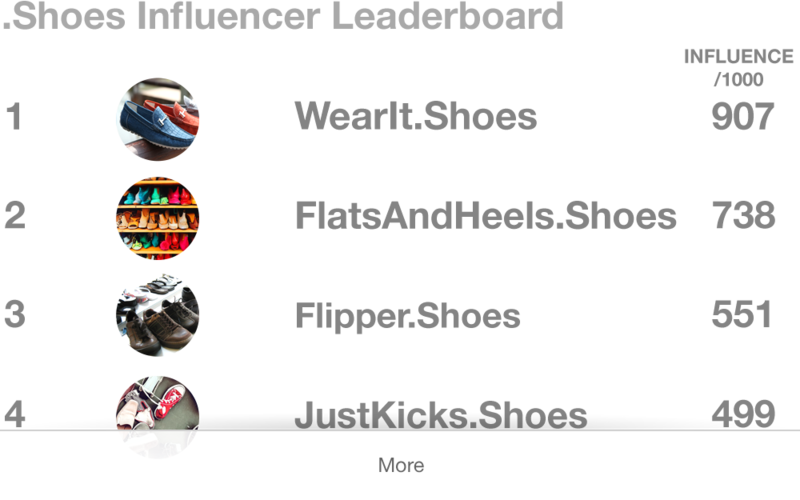 Visit the .Shoes Member Leaderboard to identify .Shoes' Top Influencers. When you purchase a .Shoes domain you become eligible to be featured on the .Shoes Kred Leaderboard, alongside other leading influencers in your space. Find and engage with .Shoes' Top Influencers, who are talking about the brands, topics, people, or keywords that matter to you. For example, you may host a Onepager landing page on MyDomain.TLD but use Blog.MyDomain.TLD for your Wordpress Blog! [fa icon="plus-square"]What is a TLD? [fa icon="plus-square"]I tried to purchase my domain but it says it is already taken. What do I do now? If you have tried to purchase your name and it says it is unavailable then you cannot purchase that domain at this time. If this is the case, try getting creative with your name! Add in the first letter of your middle name or try a favourite nickname. There are endless possibilities. [fa icon="plus-square"]What is the Domain App Store? The App Store is the place to find all the new assets that you have access to after purchasing your new Domain i.e. Streams, Leaderboards, Communities, Kmail etc. [fa icon="plus-square"]What is an Identity Page? [fa icon="plus-square"]What is a Community Page? [fa icon="plus-square"]How can I have my Identity Page featured on a Community Page? Visit the Community Page you would like to be featured on and request to join. Your request will be validated by the Community Administrator and, if successful, your page will be added! [fa icon="plus-square"]What is a Stream? [fa icon="plus-square"]What is a Leaderboard?